The Blair Witch Project was a ground-breaking type of movie in 1999 when the style of videography shocked moviegoers for its realism despite its low-budget cost — the movie grossed nearly $250 million on a $600,000 budget. Reuters recently caught up with the main actress from the movie, who recently published a book in which she detailed her time as a medical marijuana grower. Medical marijuana in Los Angeles has been legal since 1996 and yet it is still embroiled in controversy today. Our Los Angeles medical marijuana attorneys are constantly amazed at how often this controversy tends to come into the spotlight. Every day it seems there is a new group either trying to shut down medical marijuana dispensaries, stop them from opening in a certain city or authorities threatening criminal charges. But the thing about this industry is it has been helpful not only to the many patients who require this as a medication, but it has been been an economic boon to many communities and neighborhoods. No one is protesting doctors who give out pain pills like they’re candy (ok, almost no one), but these hard-working people face problems every day. Heather Donahue recently told Reuters that she got into the industry after meeting a man at a meditation retreat. 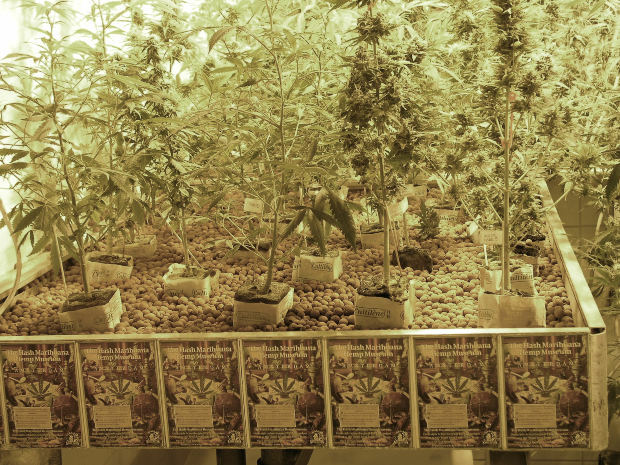 The man ran a marijuana cultivation business and he invited her to check it out, so she did. She told the news service that she believes prohibition is doing a lot more to damage our citizens than allowing the free trade of the drug. She said she has faced some criticism for writing about her experience, but she said the names of those involved were disguised to protect their identities. She said she anticipated the problems some people might end up having based on the topic. The reporter asked whether she had any regret or feelings of guilt for being involved in an industry that is still considered illegal under federal law, even though it’s legal under California law and has been for more than a decade. She gave an interesting answer. And there are many people throughout California who feel the same way. This is a legal drug, just like Oxycotin, and it is available with a prescription the same way. There are certainly problems with illegal growers and sellers, but that shouldn’t be taken out on honest businesses who are simply trying to follow the law as it is written where they live. It’s unlikely that this conflict will go away any time soon, but our Los Angeles medical marijuana lawyers are prepared to represent and defend anyone who is wrongly accused or harassed for growing, consuming of distributing this legal medicine.